Are Your Buyers Prepared To Be A Homeowner? Your phone rings and you hear those magic words…”I want to buy a house”. What is the first thing you think of when this happens? How much commission will you make or helping the buyer find the right home and build a solid relationship with your new client? 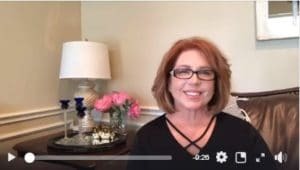 I hope you are saying the later because in this week’s blog we are talking about taking care of your buyer, the client. The biggest part of creating your Client Connection is providing them with service they will appreciate for many years to come. Having clients that value the service you provide will put more dollars in your pocket over the life of your career through repeat business and referrals than if you rush them through their buying experience and don’t educate them fully on the process. The first chance you have to provide clients with exemplary service is when they are buying their house. You are the expert on houses, and it is your job to educate your clients on what they can expect both during the sale and even more so after the sale. Buying a house is a big responsibility but taking care of your house while you own it is the biggest responsibility. A buyer needs to be educated on everything that comes with taking care of a house. It’s important to understand what you might encounter while you own your home, so you aren’t surprised by the things that come up later. What can you do to educate a buyer to be a great homeowner? Impress upon your buyers the extreme importance of home maintenance and the role it can play in the value of their home. It is essential they understand how critical it is to take good care of their home. Owning a home goes well beyond paying a mortgage and utility bills, mowing the lawn and buying furniture. All homes require some maintenance, but you need to evaluate what has been done recently versus what will need to be done in the coming years. Putting together a handout for buyers with the average lifespan of the different systems in their home can be a great resource to share with them. Buyers usually work with their lender to determine their housing budget but don’t be afraid to discuss this with them as well. While you can’t tell them the size of the mortgage they will be approved for, make sure they are building a household budget that leaves them enough money every month after all their expenses to set aside some for future needs. When their air conditioner goes out in July and can’t be fixed, they will want to have a savings to tap into so they can pay new one. If they are setting aside a portion of money each month for future repairs or upgrades they want to make, they will be better prepared to handle a new air conditioner unit or a busted water heater than someone that hasn’t planned for that. Another thing to discuss with a buyer is a home warranty. Take the time to explain how a home warranty works and let them decide if it would be beneficial to them. It won’t cover everything and doesn’t cover routine maintenance but may cover many other items and save them some money without too much of an expense. Are they used to calling a landlord for every little thing? Do they understand that from now on when the toilet is clogged or the roof leaks they will have to either fix it themselves or call a professional? Another way to help prepare them for the inevitable time they will need to call for help is to provide them with a list of your trusted experts that they can call when they need someone. They need the list from day one not just when an emergency presents itself. While buying a house can be a short process, owning a home is a long-term commitment. Prepare your buyers for this and help them understand the obligations that come along with the American Dream. When you help your buyers understand the responsibility of home ownership it prepares them for those “things that happen” so educate them, help them understand it is important to have an emergency fund set up for home expenses and maybe give them a vendor’s list of services you recommend in the area as part of the closing gift. Another thing you can do for your buyer is to have them sit down with their mortgage lender to learn how the loan process works and what they need to focus on when it comes to buying a house. Being a pre-qualified buyer gives them more buying power and everyone can now start seriously looking for that perfect home. I am constantly telling my coaching clients they must get comfortable with having the potential buyer sign the Buyer Representation Agreement before they step foot in your car. So, while you have them complete the Client Information Sheet, Wants and Needs Sheet have the Buyer Agreement together and tell them that you must have these two items before you can start showing them property. If you take the time to educate your buyer clients for what to be prepared for in home ownership it will create a relationship that will be very rewarding in the future. Thanks for watching this weeks video and don’t forget to download your freebies. If you enjoyed this blog, please SHARE IT, watch it on YouTube and let me know your thoughts, LIKE IT and don’t forget to SUBSCRIBE to my Channel. Here we are heading into the last quarter of 2018. This blog will help you get your finances in order. Check it out by clicking here. What Does Your Real Estate Listing Checklist Look Like? As a real estate agent just starting out, it can be hard to build your business to the point where you have a consistent inventory of listings for sale. While buyer clients are great to have, they can take up a lot of time and sometimes after all that time, they decide not to buy or never find the house they are looking for. Building your business so that you maintain a steady inventory of homes for sale can help you add some consistency to your income. When you first start listing houses, it can be overwhelming to figure out what you need to do for each house and not overlook something. If you are listing homes without a listing checklist, that’s like baking cookies without a recipe. The results will likely be inconsistent and less than desirable. 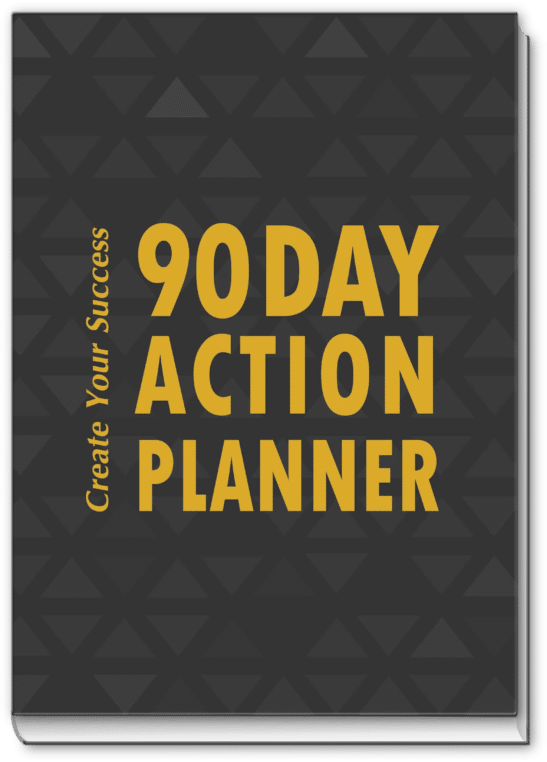 Having a plan when you start the process will improve the service you deliver and allow you to manage your time better so you can serve more clients at one time. You can always choose to skip some items if they aren’t necessary for a certain listing, but you don’t want to forget them when you get multiple new listings in the same week and are trying to get everything done. Don’t forget the things you need to follow up on later in the listing. Everything won’t happen just in the first few days. Many other tasks that will need to be done throughout the listing so include those as well. 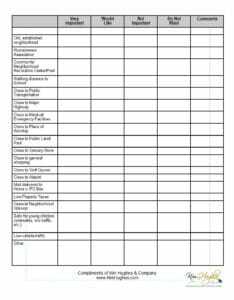 Download this sample listing checklist to get you started but make sure to spend a little time customizing it to meet your needs. When you have a thorough listing checklist put together, you need to decide how you are going to manage your checklist, so you can keep up with what’s been done on each listing and when it is time to work on the next one. A good real estate CRM will have a section for managing listings where you can add your checklist then apply it to each listing. As you work on different tasks throughout the listing, you will need to be able to track what you have completed and get reminders when it is time to complete the next task. The other nice thing about a CRM is it will keep track of the items you have done so you can share the information with your sellers to keep them informed. My very popular Listing Coordination Spreadsheet is also a tool you can use within your team to stay up-to-date on how that listing is marketed. Like anything, a little planning can make a big difference and listing homes is no different. Take a little time to create a checklist that will take your business to the next level, and before you know it, you will be a listing machine. Not to mention organized, excited about how your business is moving forward and your sellers are referring you to other because you are on top of it. Need help putting together your real estate listing checklist, not sure how to set up your CRM or just don’t have the time, but understand the importance? Reach out to me and let’s talk about how Kim Hughes & Company can help you put your business in order. My blog “What Does Your Email Signature Say About You” is one not to miss. With easy access to technology in the marketplace today, there is no need to be intimidated by video. Using video in your marketing doesn’t mean you have to hire a professional. There is room for all different levels of video in your marketing, and while you may occasionally have the need for something professional, most of your video needs can be done with your smartphone or simple online software. For starters, grab your phone and practice shooting some video. It doesn’t have to be professional, but you do want it to look nice. Start with short videos and don’t get too long and involved. Share a quick walk-through of a new listing, a preview of the backyard at one of your listings on a nice day or a short clip of a local event you are attending. If you share your videos on social media, they will get great exposure because even if someone doesn’t watch the whole thing, they are likely to see a few seconds of it (hopefully just enough to intrigue your followers) and even those few seconds are good exposure. The quality of video you can shoot with your smartphone is more than enough for most things you will do so don’t think you need an expensive video camera before you can start making videos. What are some other things you can share videos of to garner some attention? Talk to your clients in your videos. One way to try and build your business is to let people get to know you. Don’t overshare but offer interesting snippets of your life that people will find interesting. You could share a review of a favorite restaurant, information about a local park that you frequent, a little bit about yourself, a monthly update on your local real estate market, a sneak peek of a coming soon listing or a few ideas about how to improve their curb appeal. It’s a good idea to think about what you want to say before you start recording. 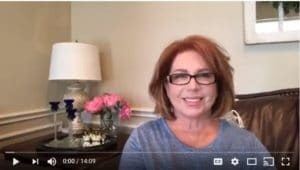 Don’t be too rehearsed so that it sounds like you are reading a script but if you make a list of bullet points before you start recording, it will be much easier to stay on track and cover the things you want to share. Keep your videos short and to the point. People are bombarded with so much information today that you have to fight for their attention and you will have to give them something they are interested in or they will move on after the first few seconds. Instagram allows videos up to 1 minute in length so that might be a good place to start if you are planning to use Instagram as one of your platforms and that doesn’t mean you can’t have shorter videos too. For many topics, 20-30 seconds is all you will need to convey your message. There are many options you can use to create slideshow style videos to share in your marketing. Animoto is one program that is easy to use while still creating professional quality videos at an affordable price. This will allow you to drop pictures in, add text, background music and transitions, and have a video very quickly without having to invest too much time in learning a complicated program. Before you post a video anywhere, always watch the whole thing to make sure it is okay so you don’t post something with too much background noise, that shows something personal or with quality issues like too much movement or poor focus. Using video doesn’t have to be time consuming or scary. Trial and error will teach you a lot so be open-minded and get started soon. It’s summer, and you need a vacation. As a real estate agent, you work crazy hours, always taking care of everyone else and putting yourself last. Well, let’s change that up for a week. Get your planner out and let’s pick a week for you to get some well-deserved downtime. After all, the goal of a vacation is to relax, spend time with family and friends, sleep late and soak up the sun, right? Get that beach bag, sunglasses and sunscreen ready because you are on your way to a truly relaxing vacation. How to prepare for your time away from work is to get organized before you even leave. You have planned your week, your destination and who is going. Remember, just taking a week to stay home, read a book, work on some home projects, cook on the grill, binge watch your shows can also be a vacation and sometimes the best ones. So, don’t feel like you have to take off to a destination. But, do plan to take some time off! You deserve it! The first thing to do is review your inventory, closings, any new business you need to organize before you leave? Find the best agent to step in while you are gone. If you are on a team talk to the team manager about this and if you’re a single agent decide who is the best agent to help you or talk to your broker to help you out. Once you have that agent to cover you take them to lunch and discuss specifics on what you have going on, how to manage it, anything you see that might come up while you’re gone and then discuss compensation and any other particulars to make sure there is no miss understanding in the role they will play with your business. If you have an assistant, talk to them about how they can help you while you are gone. Do you need them to manage your email, voicemail, etc.? Introduce your assistant to the agent in charge while you are gone and make sure they have each other’s contact information. Create a vacation auto-respond email stating the dates you will be gone, who to contact in case of emergency, their email, and phone number. Mention you will respond to email once a day if you want, but don’t feel it necessary. Just be clear about what they can expect while you are gone. Keep in mind your #1 priority is your current client. You want to make sure you call and discuss the latest activity on their property, talk about what they can expect while you are on vacation, who to contact in case of emergency and any other important notes that they may need then follow that up with an email. Then allow yourself a day before you leave to organize your business, get all the little things handled, pack your bags, etc. You really should not work the day before vacation so you can get organized and get your brain acclimated. Now it’s vacation time. Enjoy your vacation, shut your brain off, and your body will thank you for taking this time off. While on vacation make sure to stay off your phone and make sure those that are with you stay off their phone. Organize your time wisely if you must work while on vacation by getting up an hour before everyone else or taking an hour after everyone is settled in for the night to perform necessary work tasks. Do not work while your with family and friends. Promise yourself you will shut down and take the time to reconnect with yourself. One thing I do recommend is to give yourself some time alone to think about your life and where you are and what you might want to change. 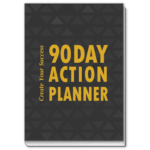 Take a journal and write it down and allow yourself to think about your goals both personal and business – write them down, do some brain dumping, come up with some new ideas, etc. You can and should take this time to reflect and plan. It is good for the soul! And once last tip…. allow yourself a day or two to get back on track once you return. Allow one day to unpack, do laundry, pick up the pets, pay bills, sort through your mail, return emails, phone calls, etc. When you plan before your vacation, prepare a little at a time so you are not stressed when you leave and to take a day to get back on track you will find your vacation did what it was supposed to do…. rejuvenate, clear your mind, enjoy your personal life and get excited about your business again. 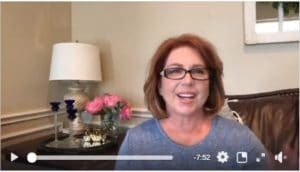 Now get excited for some great time off from your busy work life, and I hope these tips help you truly relax and reconnect with life. Are you ready to get serious about working the Expired’s in your market? Are you ready to start building your inventory and put more money in the bank? I bet you are! 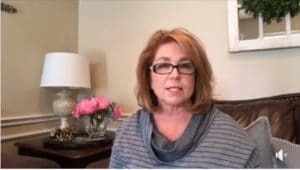 I have been asked many of times to do a webinar for agents who struggle with the Expired Listing process, so coming in May I will be hosting a Workshop to take you through my Expired Listing System that has been a huge success for many top agents. If you would like to be the first notified just click on the link below and you will automatically go into my private list to receive the first announcement. Is It Time You Bring On An Assistant? Your day started at 8:00 a.m. and 12 hours later, there is no end in sight. While many people immediately say they need to hire some help, it is important to think through that decision and make sure that is the direction you should move. Having an assistant is a big responsibility and will require an investment on your part for your assistant to be successful so make sure you are prepared for everything that comes with it. If you are tired of feeling like you never have enough time, make it a habit at the end of every day to reflect on what you did that day. Make a quick list of the tasks you accomplished then think about what could have been done by someone else if you chose to delegate those tasks to a different person. Also, think about what else you could accomplish if you didn’t have to do some of the things you spend time on each day. You will find that some tasks require your attention but there are likely many others that could be done by anyone. Here are some items you are probably doing every week or maybe even every day that could be assigned to someone else. This is just a partial list of things the right assistant can help you with. If you go a step further and hire a licensed assistant, the list can continue indefinitely with tasks they can help you with. Before you make a decision to hire someone, make sure to think about the big picture when it comes to hiring someone. Your assistant will need to be paid regularly and consistently even if you haven’t had a closing that month so you will need to have reserves you can use to make sure that happens. You will need to provide them a place to work and the tools and equipment they need to work with so they can help you. Most importantly, even if they are experienced, you can’t expect them to guess at your expectations so you will need to be ready to teach them and help them learn your systems so they can be successful and make you even more successful. If you don’t have enough work for an assistant on your own, you may consider sharing an assistant with another agent in your office, hiring someone part time or hiring a real estate virtual assistant to give you the help that you need. Hiring an assistant isn’t just about getting more done. It should allow you to focus your time on dollar-producing activities without letting other things slip through the cracks at the same time.